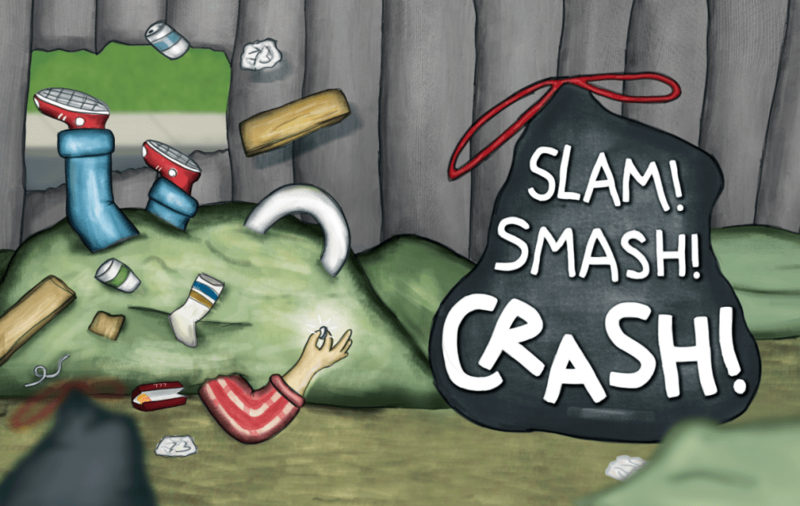 Mathew Grubb wants to tell and illustrate children’s stories. He feels something inside his core, tugging at him to move in this direction. As a talented graphic artist,illustration is a natural shift for him, and creativity is in his DNA. 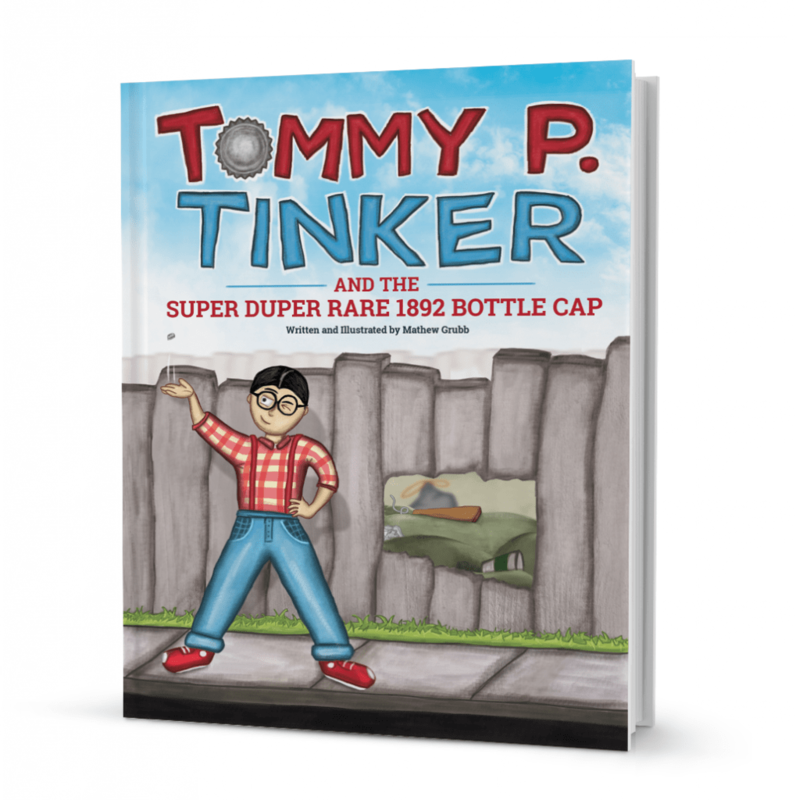 Dreaming of children getting hooked on reading, Mathew found the courage to follow his dreams to write and publish his first children’s book, Tommy P. Tinker and the Super Duper Rare Bottle Cap. The tug really started, Mathew explains, when he took an illustration class at PSU in 2013. For his final project for the class, he designed the inside spread for the story, Jack and the Bean Stalk. Mathew was hooked on illustration. Ever since then, he’s had it in the back of his mind that he wants to tell stories. Tommy P. Tinker came to life not long after Mathew finished that class. Tommy P. Tinker is a curious kid who likes to collect things in his pockets – small items like screws and bottle caps. He searches the town where he lives for rare items to add to his collection. One day, Tommy P. Tinker spots a really cool bottle cap in a junkyard. However, he discovers that Old Man Fish Hand is waiting for him there. Mathew says the book is also about his dad. Mathew’s aunt told him stories about how the neighborhood children called his dad Tommy Tinker when he was a kid. Apparently, Mathew’s dad also liked to collect things like nuts and bolts in his pockets. These stories inspired Mathew’s ideas for the story in Tommy P. Tinker and the Super Duper Rare 1892 Bottle Cap. 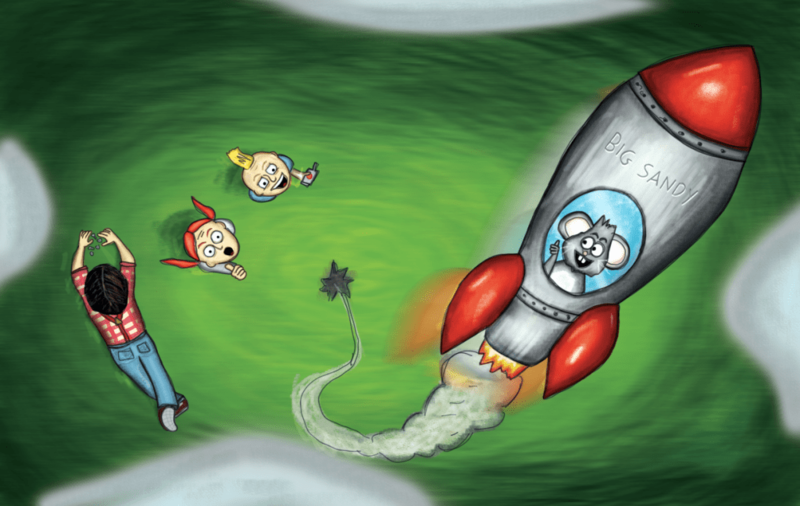 Mathew wants to continue to write and illustrate books for children. He wants to tell simple, fun stories that children enjoy reading and hearing. He envisions a collection of hardcover books that inspire children to read because they’re having fun. Mathew wants children to discover that reading is a fun thing to do and that printed books are a great thing to own and to keep reading over and over again. 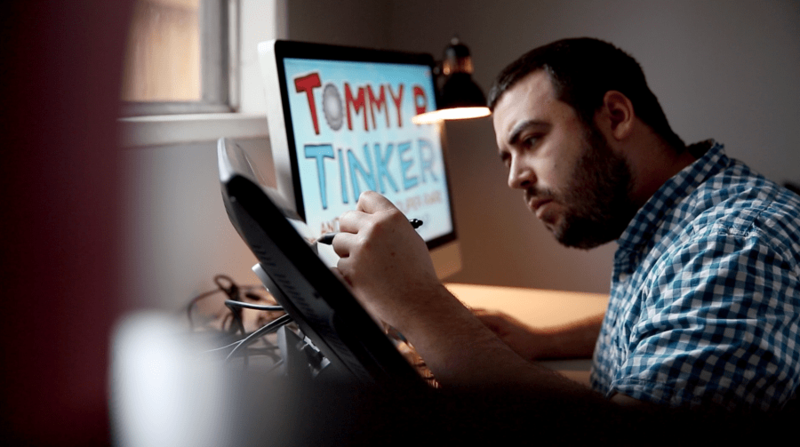 Mathew explains that writing Tommy P. Tinker was a monumental task. Mathew spent three years writing and illustrating to get the book just right. In fact, he admits he re-illustrated the book four times! He also rewrote the words of the story many times, despite having the story and plot in his head in a day. The illustrations and the words fed off each other according to Mathew, eventually creating the rhythm of the book. I also had no idea publishing a children’s book is also a monumental task. Mathew learned that publishing houses rarely publish books for new authors, and they usually only take the text and have their own contract illustrators do the drawings. So, Mathew decided to self-publish his book. Self-publishing a book has its own hurdles to jump. Printing is expensive. Distribution is difficult without the backing of a publishing house or agent. Mathew decided a Kickstarter Campaign was a good way to get the funding and hopefully the publicity he needs to go forward. He needs to raise a minimum of $4,000 to fund his campaign and publish the book. The Kickstarter Campaign launches Saturday, April 8 at 4 p.m. He is hosting a launch party on April 8 from 4 – 6 p.m. at Living Room Realty’s SE office, where he will launch the campaign live on a big screen. He will also supply food and beverages for guests attending the party, and Mathew says he’s also got a few surprised planned for the event. Mathew is inviting the community to attend the party and to support his campaign. Supporters will receive rewards for their contributions, such as coloring pages and copies of the book, depending on the amounts contributed. Mathew has thirty days in which to raise the $4,000.00. If he does not reach his goal, he gets nothing. Mathew is an Oregon native based in Portland, who is passionate about the outdoors, design, illustration, and photography. He loves Portland summers, hiking, playing basketball with friends, and brewery hopping. He believes he is lucky to live in a community where all of these things are possible. 4/8/17, 4 – 6 p.m.